With all the hustle and bustle in London, and endless countdown to the start of the Olympic Games, I’d forgotten to stop and absorb it all. It’s far too easy to pass things by every day, to let them become the wallpaper of your world, and not notice the detail. 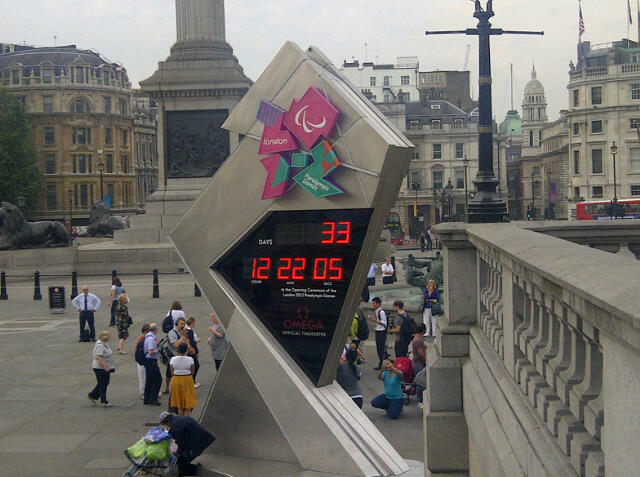 It was 12 hours to go and Trafalgar Square was warm with anticipation. So it was with my morning hot chocolate that I took a few minutes to sit in Trafalgar Square and absorb the atmosphere: the people in their pink outfits (Games stewards) greeting me with a smile that looked like they meant it; the growing number of tourists taking snaps of the Olympic countdown clock; and the young man who offered me his paper to sit on so I wouldn’t get my dress dirty on the concrete seats (above which pigeons are always hovering). The London Media Centre was quiet but would soon be buzzing with life. I was struck by the London Media Centre all set up and raring to go. Quiet for now, but with a cracking vantage point from which to watch and commentate. For me, it was the chance to absorb the vibe, to actually feel the energy and excitement and anticipation. I felt part of something special. Something that won’t come again. It reminded me to be in my moment. To smell it, hear it, feel it, taste it. Be it. Not just today. But every day. 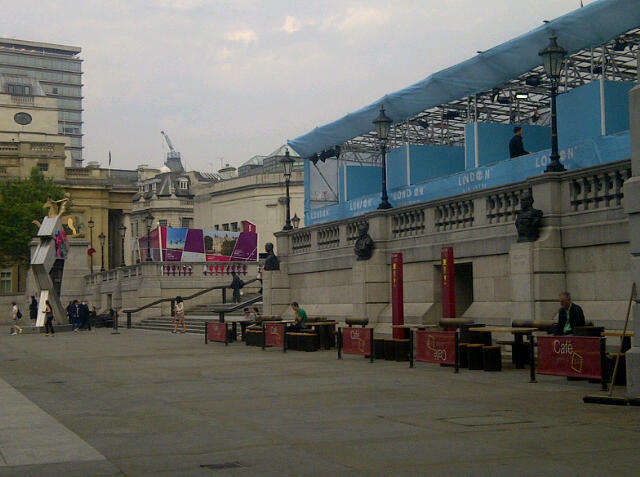 This entry was posted in life, spirituality and tagged London, Trafalgar Square by inktuition. Bookmark the permalink.